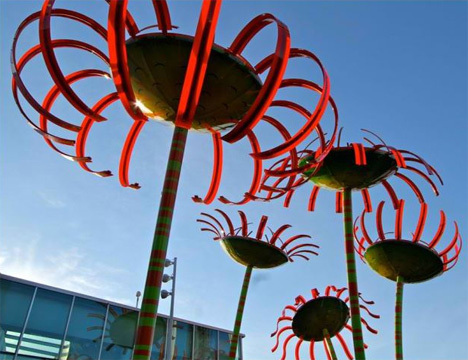 It seems that artist Dan Corson wants the citizenry of Seattle to feel like they’re in Wonderland. Just take a look at his latest exhibit, the appropriately titled ‘Sonic Bloom,’ for proof. 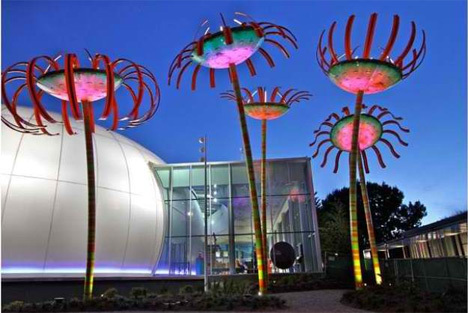 Collaborating with the Pacific Science Center, Corson has designed a collection of psychedelic flowers. If that seems boring to you, consider the fact that they’re 40-foot-tall street lamps and have built-in motion sensors that trigger music. When all of the flowers are triggered, they sing in trippy harmony. In true Seattle form, the LED lights are completely solar powered. 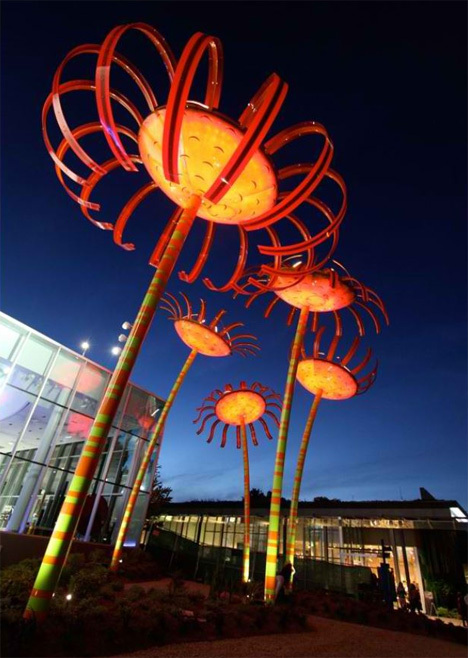 These massive illuminated flowers should be a popular sight in a state that has recently passed certain laws which might enhance such a display.